Sometimes you are taken by surprise. Last spring I was sent a gift by the daughter of an old friend. Long ago she had been inspired by our garden and now she is working as a gardener in Devon. And, delightfully, she had collected some seeds and sent them to me. 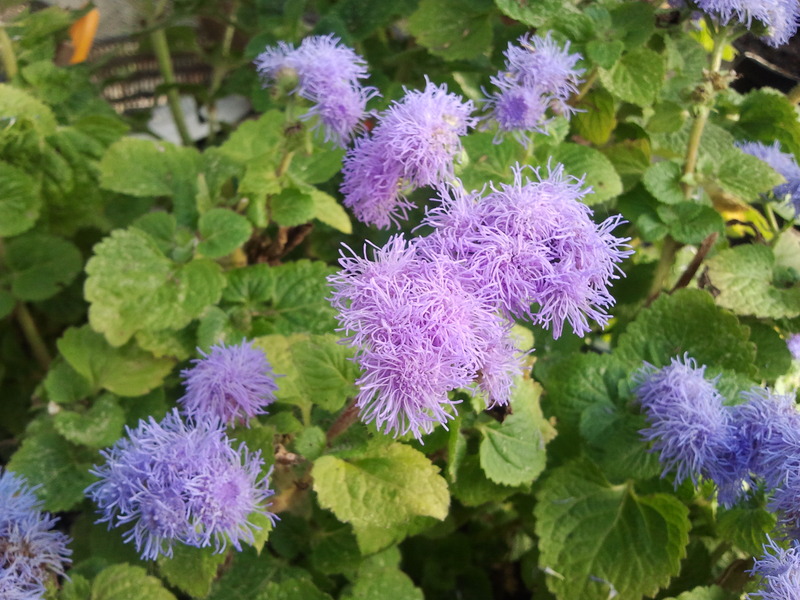 Call me a snob, but I had a longstanding prejudice against Ageratum – I thought it was too fluffy, too mauve, too girly – the sort of plant that the late Barbara Cartland would have liked. 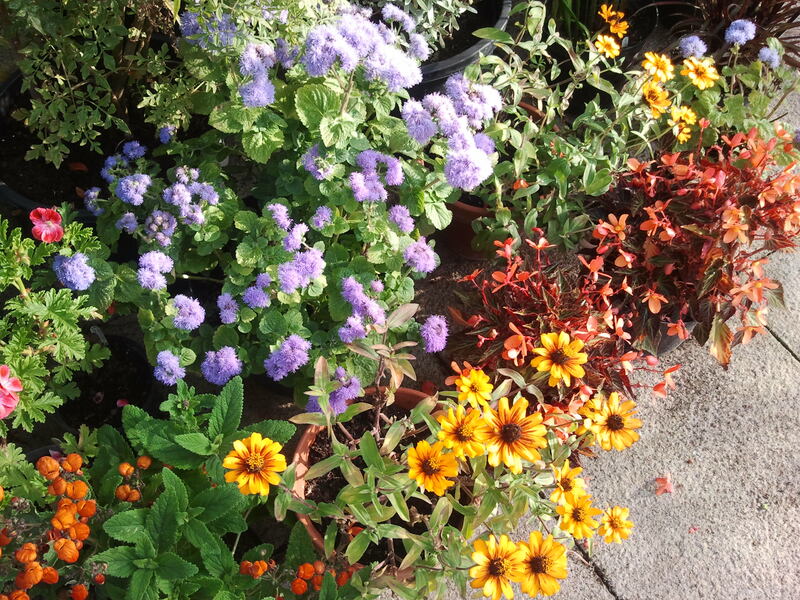 But it turned out to be one of the stars of my group of plants-in-pots last year – just the right colour to set off the predominantly sunset-coloured display – and it lasts well in a vase. When the seeds arrived they were in plastic bags. I had always read that it’s best to put seeds in paper envelopes and keep them in a box in the fridge. I thought that many of these would not be viable, but germination was excellent. In the past I have failed to grow any plants of Lysimachia ‘Beaujolais’, even when sown really fresh, but the seeds from Devon came up with enthusiasm. Maybe they like being stored that way – maybe the ‘received wisdom’ is wrong? So I have learned some useful lessons, thanks to my good friends. And I will grow Ageratum again this year. It will soon be time to start sowing. It is often good to look at plants that we are prejudiced against with new eyes. I think Ageratum is lovely, although for years I was like you and didn’ t grow it. I particularly like the tall Blue Horizon, it is great for cutting. Yes, you should always keep an open mind. I’ve bought seeds of a taller variety and I hope to try it in my borders this year.